Us guys are simple creatures really, but whilst it can have its advantages, it can make us bloody difficult to buy gifts for. So if you're fretting about what to buy the men in your life, and you can't really get away with socks and dvd for another year, have no fear, because I've got a few suggestions that hopefully might point you in the right direction! 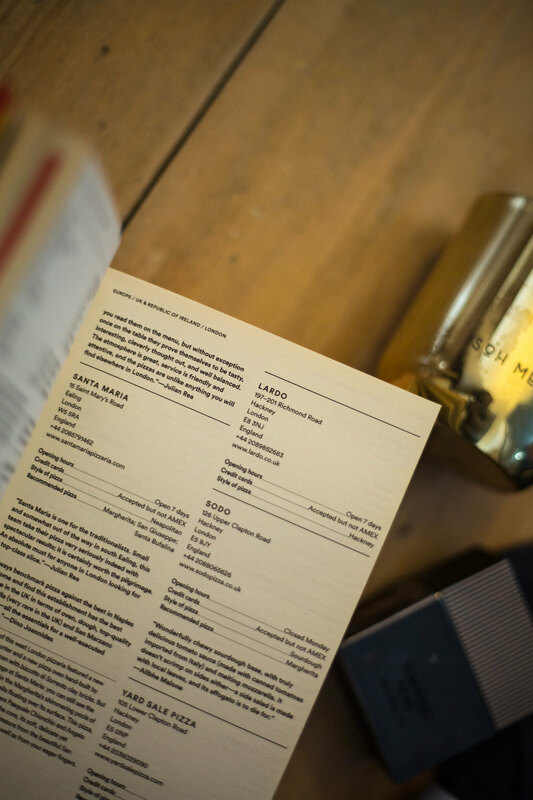 A great stocking filler book that's actually useful, Where to eat Pizza lists the best pizza joints throughout the world, picked by locals who live there, A great gift to anyone who loves a city break! 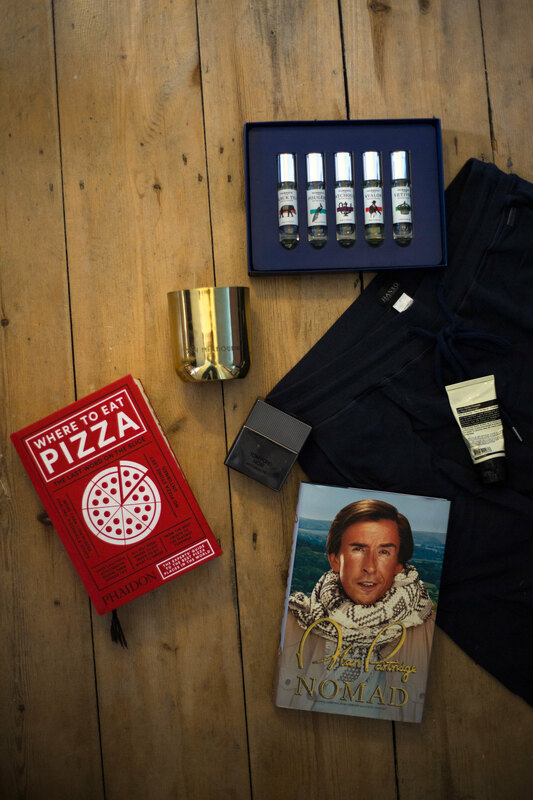 To be perfectly honest, I could have put anything with Alan Partridge's face in this guide with the safe knowledge that it would go down a treat, but Nomad in particular is a must buy gift for anybody who is a fan. Showing Steve Coogan at his comedic finest, this book will go down well with everyone from you're younger cousin to your grandfather! Men's skincare can always be a bit tricky to buy as a gift, as unless you know the person inside and out, it can be a bit tricky to know what guys need and use. Aesops Moroccan neroli post shave balm is always a good bet for anyone you know who loves a clean shave, and has a smell that I'm praying that they release as a frangrance! The reality is that you can't really go wrong with Aesop products as presents, so long as you know what they like! I've always been a big fan of Tom Fords fragrances, but the only downside is that some of their nicest perfumes are probably a bit too pricey for a gift! Anthracite is one of my favourites of theirs, with a really distinct spicy scent it's definitely a great staple frangrance! An alternative set of fragrances, but just as nice, I came across their scents when I went to get my hair cut at one of their barbers in Soho, and a spray of Black Tea was enough to buy it as a birthday gift for my Dad, which he loved! A true gents set of fragrances, my personal favourites are the aforementioned Black Tea and Patchouli. Hanro Jogging Bottoms Another tricky thing to buy as a gift of all people can be clothing, due to obvious size and taste preferences, but casual wear is something that can always please. Like socks and underwear, lounging wear is something that I personally never think to invest in, despite being things that I wear the most, and these Hanro joggers are ones that I've been wearing non stop! Last but not least, candles are an obvious xmas gift choice, but the options are always endless. A favourite of both Liv and I is SOH Melbourne, an Australian (obviously) brand that some of our favourite scents and designs in shop. Having bought some at the beginning of the year, we still have them burning now, so are definitely great value! If you don't already know, Liv has done her annual mammoth 12 days of girtmas on here site, so I would more than recommend going here to check them out! I've tried to tackle the men’s side of gifting, for the ladies, I’ve noticed Farfetch have put together a 'for her' gift selection, click here > for the Farfetch gift guide!’ Farfetch is a global platform for luxury who I’ve just found out about, they sell brands like Tom Ford and Roberto Cavalli. Really cool! What about shaving gel for men?